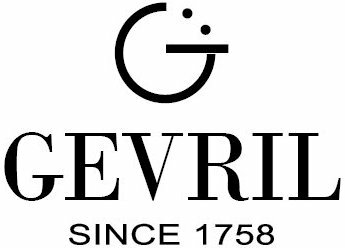 Those who are in the watch business or students of horologic history know that Gevril is a brand with roots dating back to the mid 1700’s. Founder Jacques Gevril and his descendants were quite talented fellows, standing out from other watchmakers of the day. King Ferdinand VI was so impressed with Jacques Gevril that he appointed him Royal Swiss Watchmaker to the Spanish Crown. In fact, Gevril made his first chronometer, a watch that must keep very accurate time to qualify for the designation, in 1743, and a minute repeater, a watch that tells time through acoustics, in 1758. 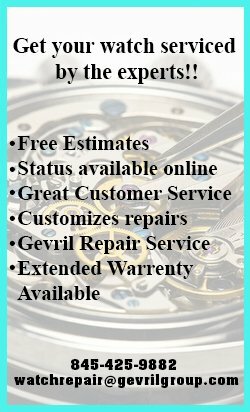 More than just a master of mechanics Gevril also gained a reputation for making fine dials. 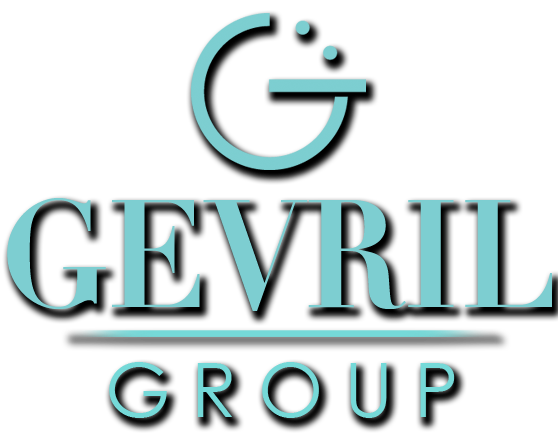 As the centuries moved on, the Gevril brand faded… until watch veteran Samuel Friedmann decided he wanted to own it. Looking into the annals of history he discovered Gevril and its combination of traditional foundations that combined potential for modern relevance. He first presented the new incarnation of the Gevril brand in 2001, all of whose collections have been named in deference to New York City, one of the most spectacular places in the world. The Avenue of Americas Super Mini Mother-Of-Pearl Collection takes its name from one of the grand streets that runs through New York City. Also referred to as Sixth Avenue, Avenue of the Americas has witnessed the growth of the City with buildings such as Macy’s department store, Rock Center and Radio City Music Hall taking up residence there. 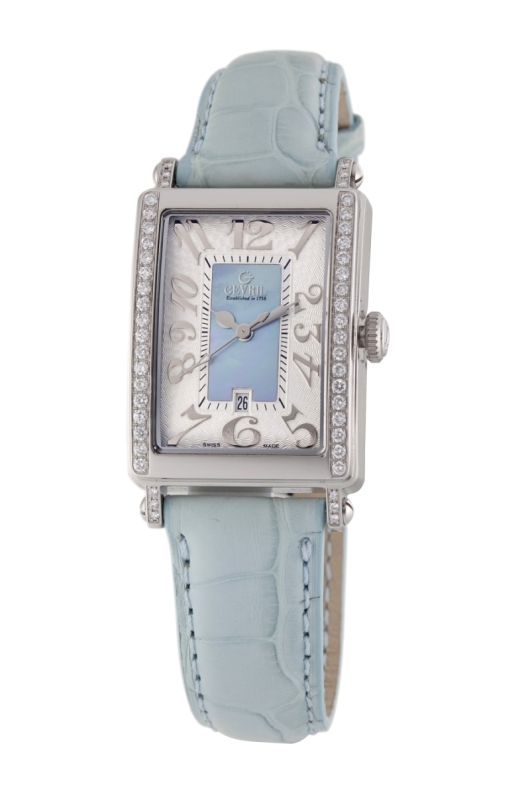 The Avenue of Americas Super Mini Mother of Pearl collection comes in a delicate 22 mm rectangular case that features a blue or pink-colored mother-of-pearl centerpiece framed by stylized Salvador Dali-esque type hour markers, giving it an avant-garde look. The date window at 6 o’clock blends in seamlessly with the design yet remains at the ready for easy reference. 42 top Wesselton full cut diamonds totaling .45 carats are tastefully embedded on the horizontal sides of the case and lugs, adding just the right amount of sparkle to the Avenue of Americas Super Mini Mother of Pearl to be appropriate in either casual or more formal environments. These two Avenue of Americas blue and pink mother-of-pearl dial models are limited to 500 pieces each and are matched with a corresponding blue or pink calfskin leather band. 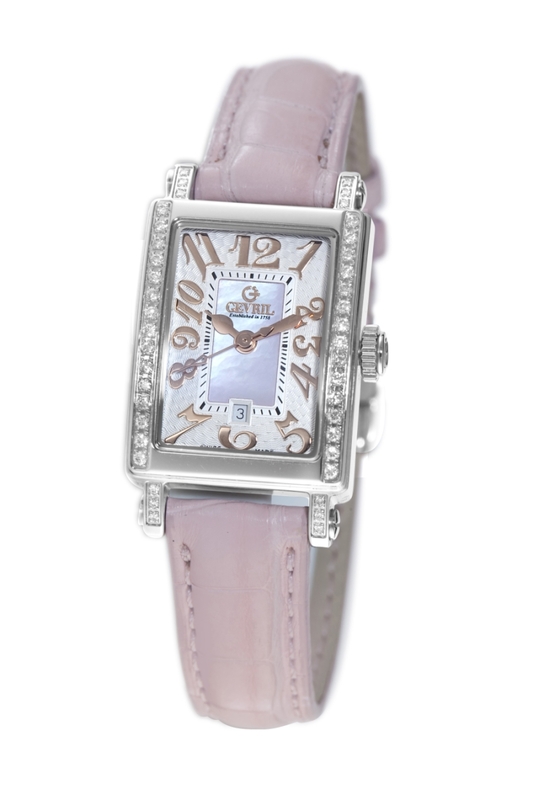 Reliability is assured with a solid Swiss quality quartz movement.